Electrolux has a new range of dark stainless steel appliances, a complete home appliance offering. 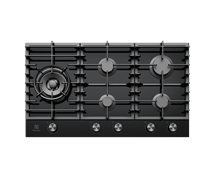 It’s a complete stainless kitchen solution with integrated offers and seamless design. Our philosophy is simple: life in the kitchen should be seamless and intuitive. With 100 years of Swedish thinking, our design team have developed a range to give you the tools to make great tasting food and to enrich your home life. 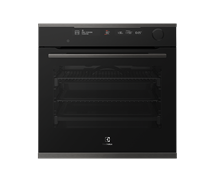 Grill, bake and roast in one of our multifunction ovens. Or go further with our steam function that gives your dishes juiciness on the inside and crispiness on the outside. 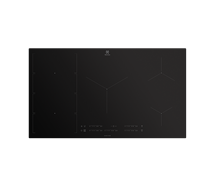 With our induction cooktops, the heat is instant. Pans heat up faster and ingredients cook at the precise temperature so you get delicious results every time. Now you can unleash your creative skills in the kitchen, without worrying about the mess. Just set the pyrolytic function, come back when it’s finished and wipe away the residue, without hard scrubbing or exposure to harsh chemicals. 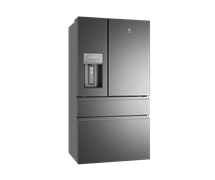 A fridge should be a statement in your kitchen and we make sure it’s one of the most striking features. 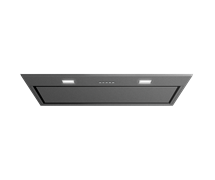 Ours are available in dark or natural stainless steel finishes for seamless elegance. 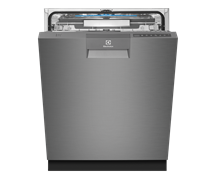 Our range of quiet dishwashers offer superb results – sparkling dishes, ergonomic stacking and swift cycles, keeping your favourite dishware beautifully clean. See our Dark Stainless Steel appliances in a range of kitchens.